It’s ages since I’ve done a Wordless Wednesday post (or Wordy Wednesday as they usually are in my case – I just can’t seem to help myself including a few words of introduction!). This is a photo I took this weekend. We took Little Man to a nearby park and he was just determined to climb a tree. So of course, he set his sights on the biggest one he could find. Apparently the boy likes a challenge! Cuteness. 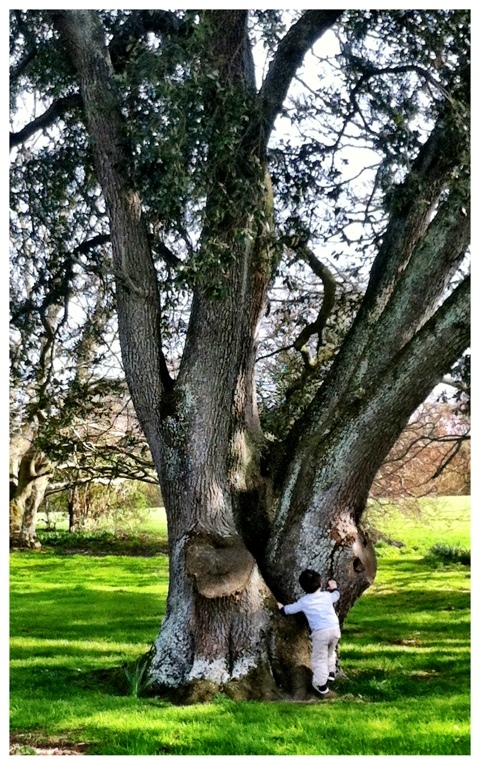 Boys and trees – a perfect match! He takes after his mother. You loved to climb trees too.